Kyle White is a personal injury and litigation attorney who was born and raised in Anderson, South Carolina. He is also a proud graduate of Clemson University. For almost a decade prior to joining the firm, Kyle represented insurance companies, Fortune 500 companies, and other corporate defendants in product liability and other complex litigation matters. Kyle has tried civil cases to verdict in state and federal court, and has handled litigation matters in a variety of United States and foreign jurisdictions. Although Kyle represents members of the community in a variety of litigated matters, he most often represents members of the community who have been wronged by the government in cases involving false arrest, false imprisonment, excessive force, malicious prosecution, racial profiling, foster parent abuse, and various other cases. Kyle also represents members of the community who have been injured by a defective product. Settlements and verdicts in cases in which Kyle has been involved total tens of millions of dollars. Growing up in Anderson, Kyle was a state finalist wrestler at TL Hanna Highschool, and wrestled for a period of time at Clemson University. Wrestling taught Kyle the values of hard work, sacrifice, and personal accountability. The same aggressive attitude that allowed him to be a successful wrestler now comes in handy when pursuing defendants who have wronged his clients. In his spare time, Kyle enjoys spending time with his wife and children, coaching youth sports, pulling for the Clemson Tigers, and attempting to play golf. Kyle is also a member of Central Presbyterian Church in Anderson, SC. 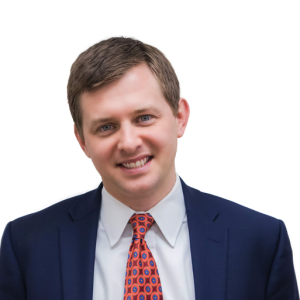 Kyle is licensed to practice law in all state and federal courts in South Carolina, Alabama, and Mississippi, as well as the United States Court of Appeals, Fourth and Fifth Circuits, but he has handled legal matters in numerous other states, including North Carolina, Georgia, Florida, Oklahoma, Texas, Michigan, and numerous other states. Kyle’s peers have assigned him an AV Preeminent® rating through the Martindale Hubbel rating process. This is the highest peer rating standard. This rating signifies that a large number of the lawyer’s peers rank him or her at the highest level of professional excellence for their legal knowledge, communication skills and ethical standards. Kyle was also voted as a member of Greenville’s Legal Elite, in the area of environmental law. Kyle can be reached by telephone at (864) 231-8090 or by email at kyle@wdwlawfirm.com.